Join adventurer and explorer Ben Fogle as he explores the waterfront of Sarawak's capital city, Kuching. Ben discusses some of Sarawak's more romantic history, meets local residents and shops for feline fruit in the market. Then join Ben for dinner at Kuching's Junk Restaurant when he meets the owner and finds out the story behind the name. Visiting the waterfront, the markets and the fun restaurants are all "must do" activities when in Sarawak which offers unforgettable travel experiences. Visitors can see amazing wildlife, trek through the rainforest, swim and dive in crystal clear waters as well as enjoying superb local cuisine and accommodation. 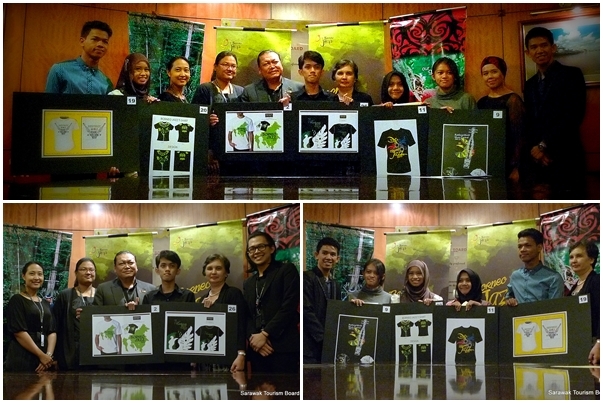 Visit www.sarawaktourism.com to learn more and see why, when it comes to Sarawak, "Adventure Lives Here!" 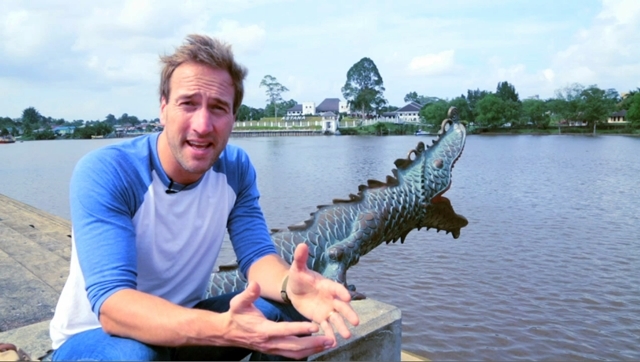 Screen grab shows Ben Fogle presenting the rich and romantic history of Sarawak's white rajah's (king) legacies as he sat at the Kuching Waterfront with the iconic Astana in the background. Watch Ben's urban adventure here!